→How Do Wheel Spacers Work | Don’t Miss This Guide ! How Do Wheel Spacers Work | Don’t Miss This Guide ! Many of us don't know how do wheel spacers work and what is the importance of it? Do you know? If your answer is no, then you are on the right page. Let's start guys. Vehicles with usual wheels are not always fit for all kind of roads. Sometimes, people need to use some wider set of tires in vehicles. Depending on my experience I can say, vehicles with usual wheels provide a poor performance on some roads. Sometimes I had to use a wider set tire to enhance the performance of the vehicles in a particular type of roads.In that case, people suggested me to either buy some wheels with an enhanced width or use some wide tires instead of changing the entire wheel. I used some wheel spacers in that case rather than wasting money for buying new wheels. Wheel Spacers help the vehicles perform better by widening the wheelbase of the cars. It provides the vehicles with an impressive appearance by changing the clearance of the vehicles and the way it handles. ‘How do wheel spacers work,' ' why use wheel spacers ?,' ‘are wheel spacers safe to use' are some frequently questions in our society. If you want to increase the off-road performance of your vehicle, you have to know the answers to all these issues. This article will provide you with a concrete and complete idea about the wheel spacers. Why use Wheel Spacers ? Some people think it is unnecessary to use wheel spacer﻿﻿﻿s in the vehicles. But, for real wheel spacers are an important part of vehicles. It is convenient to the cars in many ways. Wheel spacers increase vehicles' performance. It provides a developed traction. It provides the vehicles with a unique appearance. It enhances the vehicles' off-road performance. The installation process of wheel spacers is very simple. You can install wheel spacers in just a few steps. All you have to do install spacers is just you have to put the spacers between the wheel and the wheel hub. The total installation process is described here. I think it will be little bit helpful for you to get How do wheel spacers work. Step 1: Park your vehicle in a safe and flat place. Pick up the target end of the vehicle with a jack and set it on the stands. Step2: Carefully uninstall the nuts and remove the wheels. Now, remove the retaining washers. Step 3: Put the wheel spacers onto the studs. Be careful about placing the spacers. Make sure that the wheel spacers are placed perfectly against the hub. Step 4: Now put the wheels in their positions and install the nuts tightly. Step5: Finally leave the vehicle and remove the stands. Wheel spacers are kept between the wheel and wheel hub. As a result, it widens the distance between the wheels of the vehicles. The wheel spacers push the wheels out of the vehicles. The wheel spacers help the wheel cover the entire edge of the fender or the wheel arc. Sometimes, due to wheel spacers, the wheels reach slightly past the sides of the chassis. It enhances the performance of a vehicle. Besides, a wheel provides a vehicle with a wider and more stable look. This question always arises whether the spacers is great or bad for rims. Many researchers found many answers for this question, and finally, they all acceded to the point that, spacers are always safe for the rim. Using spacers in the side provides some extra advantages to the vehicles. Installing wheel spacers in rim enhances the stance of the vehicles. Wheel spacers are sometimes used as the correction of incorrect offset. Installing spacer in rim delivers the vehicles with a greater balancing capacity even in rugged terrains. It provides an impressive, aggressive and macho look to the vehicles. Although wheel spacers always increase the performance of the vehicles, it sometimes produces some critical problem. 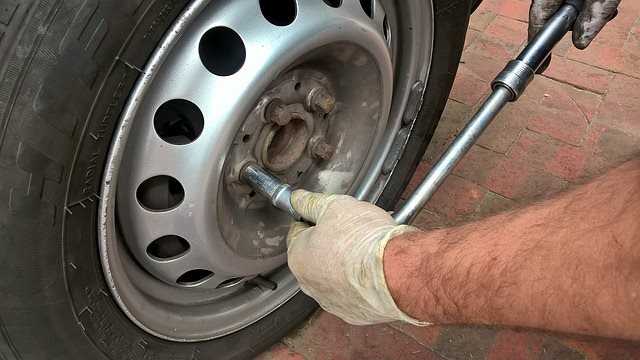 Wheel spacer can put a tremendous sheer load on the wheel studs. Sometimes wheel spacers increase the load on the wheel bearings. It provides increased pressure on suspension components. Now I am in end of this topic. I think, you get the answer about how do wheel spacers work? Now, here is no hesitation to use and install wheel spacers in your vehicles.Installing spacers provides the vehicle a better look as well as a greater performance. It increases the safety of the vehicles. However, spacers of poor quality can sometimes show some drawbacks. So, the user should be careful about the quality of the wheel spacers.It is as important as a blind spot mirror but provide incredible advantages to the car.